According to Leonardo Da Vinci "The smallest feline is a masterpiece." 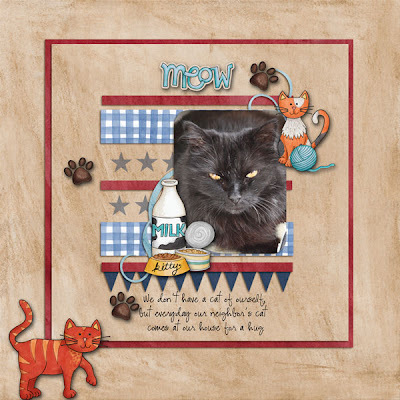 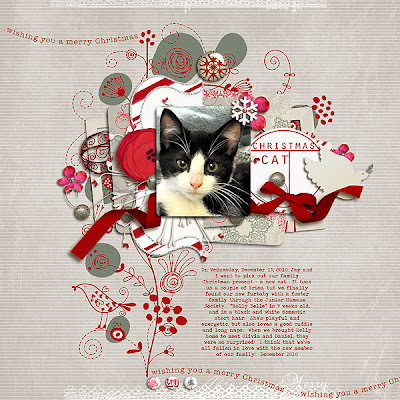 This set of templates was designed with our family's newest pet, a small feline named Holly Belle, in mind. 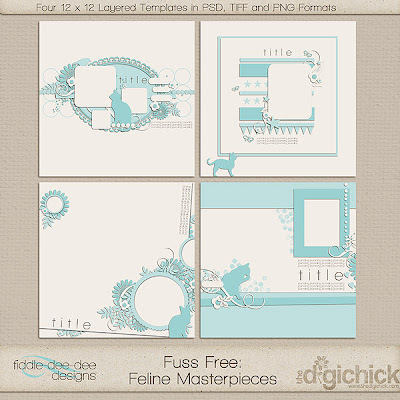 You'll find sweet little kitten silhouettes on each template; however, these can be easily removed or replaced to alter the template to suit your needs. 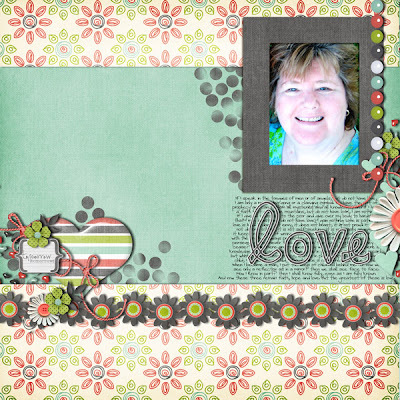 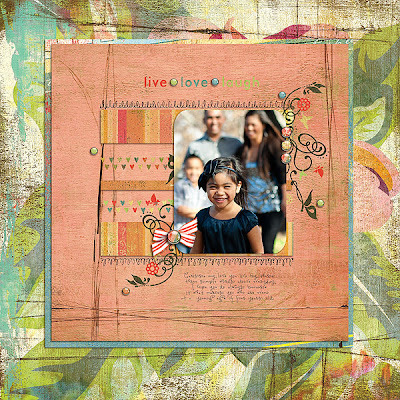 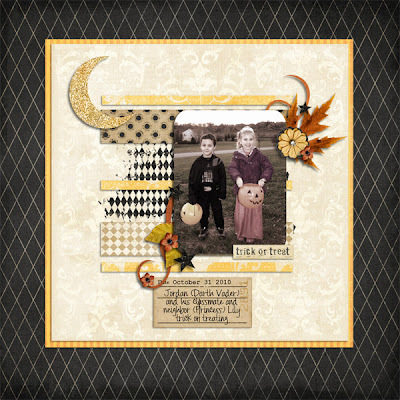 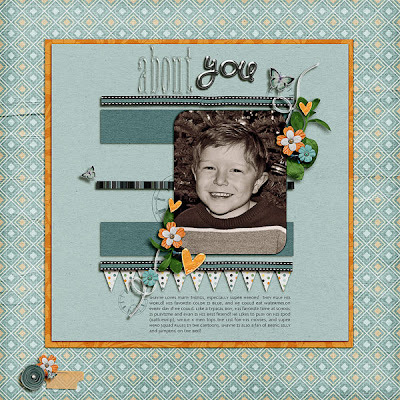 You'll find these templates on sale for a limited time at The Digichick. Image linked to the shop. I hope you enjoy these templates whether you are scrapping your favorite furry creature or not! 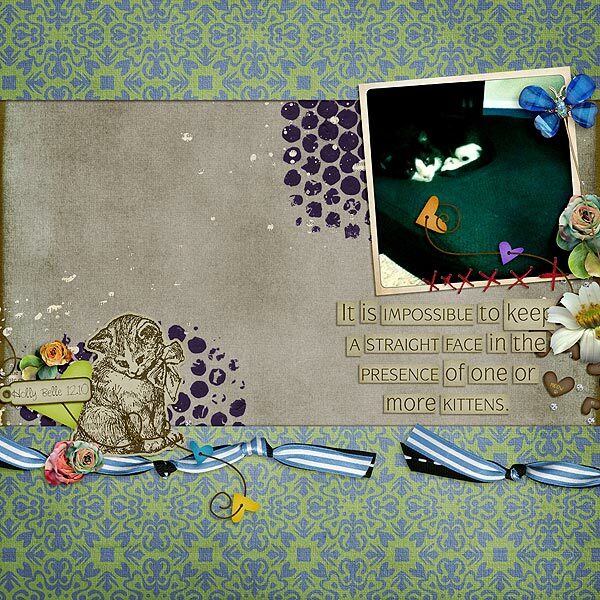 As always, many wishes for much happy scrapping! 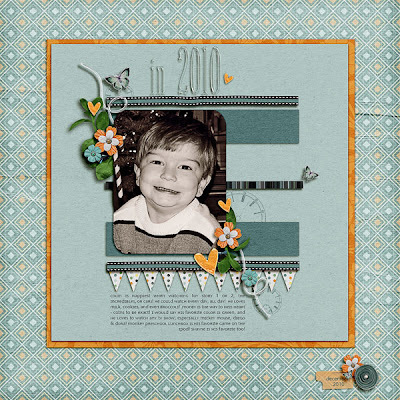 Fuss Free: Christmas Greetings AND a Grab Bag!